Remember when Nissan developed a Altima Hybrid using Toyota tech and then it just disappeared? Not many people do because it sold poorly. 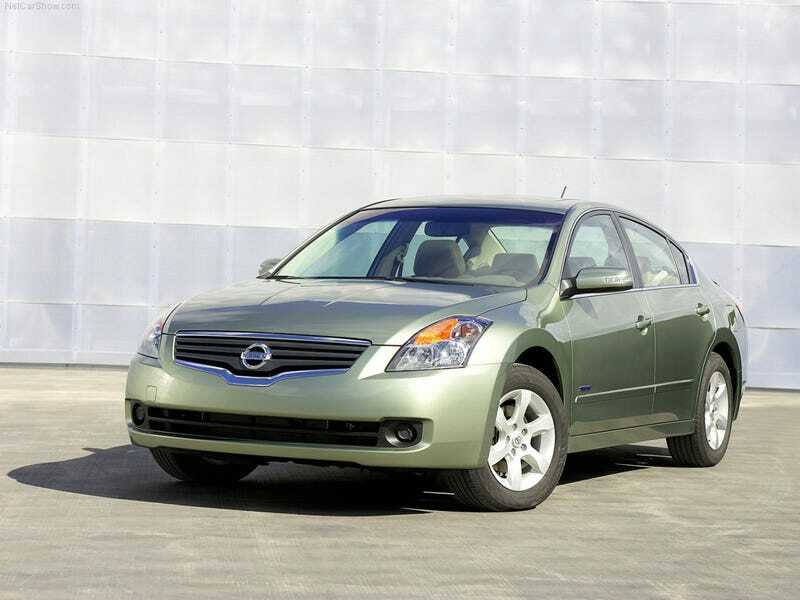 The Altima Hybrid was based on the 4th gen Altima and was introduced in ‘07 at the Orange County Auto Show (because of course they would introduce it in the OC). Nissan licensed Toyota’s hybrid tech from them saying that hybrid models after this would have tech developed in house. Using Nissan’s familiar 2.5 I4, the total combined output was 198 horses (they couldn’t have squeezed out the 2 extra horses for a full 200?). Power of course was routed through the terrible, terrible CVT transmission Nissan is so frustratingly fond of. Fuel economy ratings were 41 city/36 highway. Inside it was standard boring Altima fair, with an econ meter replace the standard tach. There was nothing to get excited about although the interior was (and still is) roomy. So where did it go? To automotive heaven due to slow sales. It was produced from ‘07 to ‘11 and was initially only available for sale in 10 states: California, Oregon, Connecticut, Maine, Maryland, Massachusetts, New Jersey, New York, Rhode Island and Vermont. That could have had something to do with its low sales. Its said 35,000 were built over its 4 years of production, but that’s hard to believe considering that you really cant find them for sale used if you look. The NYPD even used some as patrol cars just before its death.